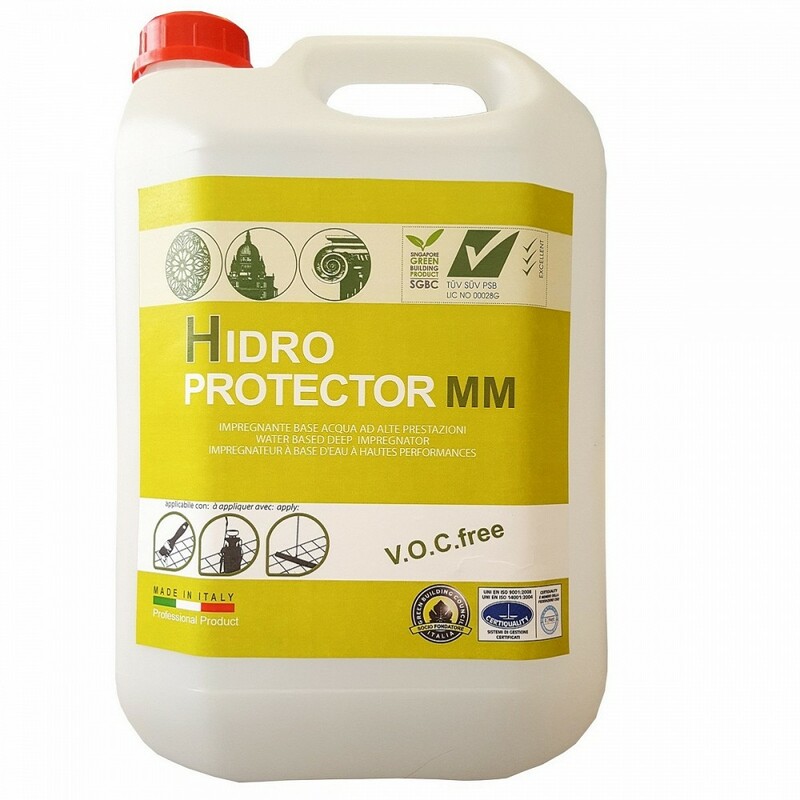 – it is used as a 6-side pre-treatment to combat any form of rising damp and to guarantee maximum protection. In this case, the installation of slabs or tiles must be carried out using high-quality adhesive or mechanical fastening. – it is used as a 5-side pre-treatment (top+edge) without any further processes. In this case, the installation of slabs or tiles must be carried out using a medium-high-quality adhesive. – It can be used as a pre-treatment on 5 sides (top+edge), together with a treatment applied to the underside (bottom), in the event that slabs or tiles are used with a medium-low quality adhesive or simple cement-mortar mix.